WeChat has taken over China — next stop, the world! A Chinese tourist uses WeChat to pay for snacks at a convenience store in Bangkok. People have said for a long time — rightly or wrongly — that one of China’s greatest skills, as it developed into a super power, was copying others, from automobiles to luxury bags, and even entire towns! In the beginning, the same might have been said about Chinese social media, with Weibo often called China’s Twitter, and the now unpopular RenRen once labeled China’s Facebook. But the tables have well and truly turned, and Western social media giants are watching and frothing at the bit over the success of Chinese social media. Weixin (WeChat) is probably the Chinese platform that most Western social media companies — particularly Facebook — are envious of. Why? Well, because WeChat is amazing. As we all know, it’s an all-in-one platform that lets us chat, connect, send pictures, hail nearby taxis, broadcast live, make free phone and video calls, look at and comment on friends’ photos, save money and spend, spend, spend. WeChat Pay has become an institution in China, and it’s played a key role in turning China into a largely cashless society. And it’s changing Chinese traditions, too. One example: red envelopes. In the past, people would send friends and family hongbao (red envelopes filled with cash) at Chinese Lunar New Year — as well as birthdays, weddings and at any other chance they come across — but now billions of digital red packets are sent and received by hundreds of millions through WeChat instead. The app is such a must-have that, despite mainly just being popular in one country — albeit the world’s most populous country — it is one of the world’s most popular social media applications, with a staggering 963 million users at last count. Now WeChat has upped the ante, offering WeChat Pay functionality in some other countries around the world. This doesn’t symbolize an attempt to win new customers, though. On the contrary, such functionality is aimed at existing customers, namely Chinese users while they travel overseas. WeChat is among the payment options available in Wellington, New Zealand. Chinese tourists spend a ton of money when they travel, taking the top spot as the country with the highest spend while jetting around the globe. One estimate suggests that Chinese could burn a whopping US$225 billion a year on their holidays come 2025. 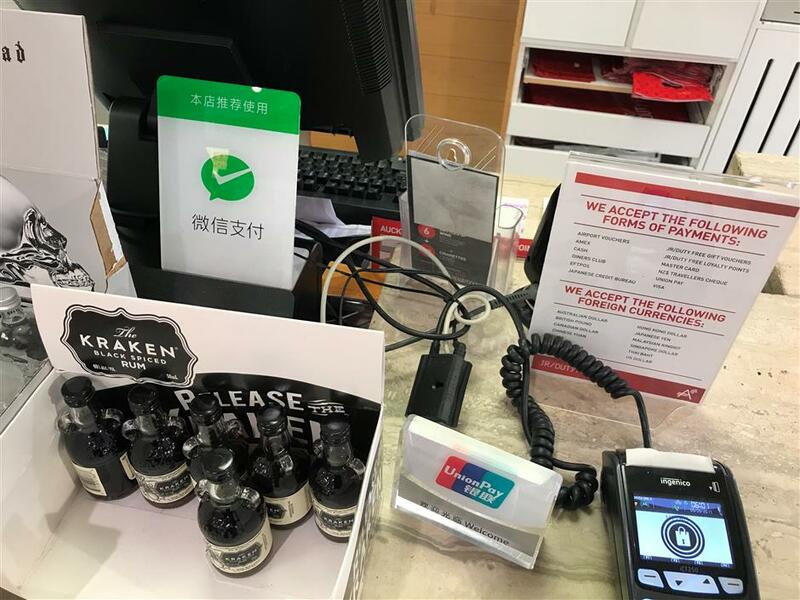 Tencent decided they want a piece of that pie, so now WeChat Pay is available in dozens of countries, including New Zealand, as I found out last week when trying to buy some perfume in duty free. 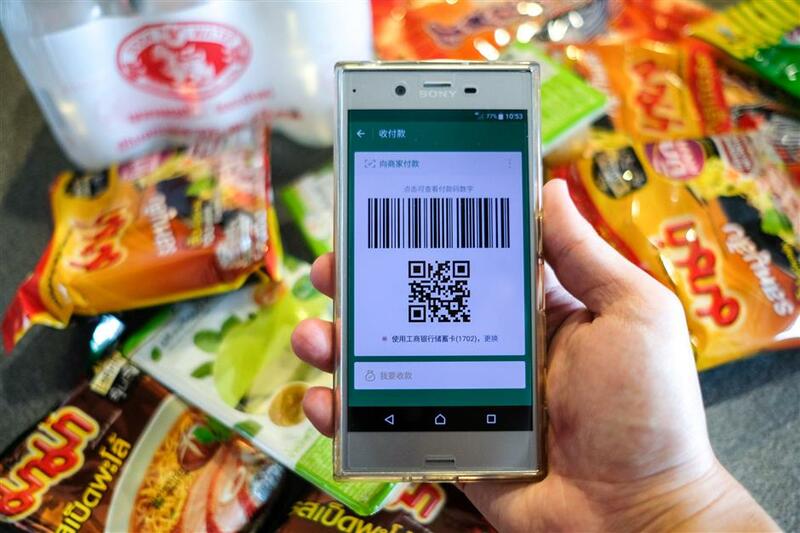 The sign letting customers know that WeChat Pay is available is completely in Chinese, highlighting that the service is designed to support current customers and not entice new ones. Unfortunately, though, the staff were unsuccessful at taking my WeChat money — it seems the two staff members were not at all familiar with the service and couldn’t figure out how to log into the store’s account to accept payment. It might be a long shot to expect WeChat to take over the world in its own right, especially since Western social media users are already well entrenched in their usage of social media applications. Social apps based on new and novel ideas, such as Snapchat with its disappearing pictures and videos, come along every so often and take the world by storm. But WeChat is such an all-around, general application that for it to become popular in its own right, users would probably need to give up their reliance on social media mainstays like Facebook. That’s probably not going to happen any time soon. WeChat is already taking over the planet it other ways, though, with brands like Facebook copying functionality and ideas from China, and bringing them to the masses. China has already turned from being seen as a copycat to being looked up to as a digital innovator, largely thanks to Tencent’s WeChat.